WASHINGTON, D.C. (April 27, 2018) – (RealEstateRama) — The Mortgage Bankers Association’s Opens Doors Foundation (MBA Opens Doors) today announced that it surpassed a milestone, having provided mortgage or rental payment assistance grants to more than 2,000 families across the country. The grants are made to families with critically ill or injured children, allowing parents and guardians to be by a child’s side during treatment, without fear of jeopardizing their home. “Due to the generosity of MBA members and the efforts of social workers in our network of hospitals, we are thrilled to have helped more than 2,000 families in more than 40 states with housing payment support during a time of crisis. This kind of national reach with local impact has made a meaningful difference for families with children who are literally in the fight of their lives,” said Debra W. Still, CMB, President and CEO of Pulte Mortgage and Chairman of MBA Opens Doors. Through the generosity of MBA, the Foundation passes on 100 percent of the donations it receives to families in need of assistance. Potential recipients of the grants are identified through the Foundation’s ongoing relationships with nine children’s hospitals in Washington D.C., Boston (2), Dallas-Fort Worth, Denver, Houston, northern and southern California and Akron, Ohio. 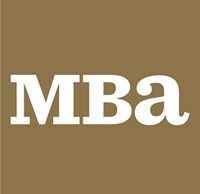 MBA Opens Doors is a 501(c) (3) organization, and all contributions are tax deductible. You can now connect with MBA Opens Doors on Facebook or Instagram. For more information about the Foundation or to make a donation, visit www.mbaopensdoors.org.